We live in a noisy world, and nowhere is it noisier than TV-news and Twitter. But many activist-groups who regularly appear on TV-news shows seem to clamor free publicity more than solving the perceived problem in a sustained manner. This makes one suspect their very motive of activism. For instance, take Bajrang Dal’s heightened noise on Valentine’s Day. Similarly, the hoards of self-proclaimed activists who regularly comment on any and every issue on Twitter, mostly do not do anything substantial on-ground. They do not materially help the lives of the affected people. Rather such comment-bashing promulgates the extreme sides of opinion most people have now, viewing everything as black or white and not as shades of grey! The impact of this noisy overload of pseudo-activism across TV-new and Twitter is a slow, but steady, burnout of the very concept of activism, both for the activists and society. The actual “on-ground” activists often get disheartened because people cannot fathom between the froth and liquid in this noisy overload. They do not empathise what these activists are fighting for, and are sometimes even cycnical about their objective. All these combine to hit their motivation, and ultimately their numbers. At the same time, the society does not get sensitised adequately about the real issues that matter. Their cynicism limits their public support, and they do not give the due credence that real activism efforts deserve. Resultantly, our countries continue to see incidents of exploitation and injustice, with the opinion of a section of society actually siding, directly or indirectly, with the perpetrators. The objective here is not to admonish TV-channels or Twitter, but rather to highlight that we need to use our wisdom and sense of responsibility to appreciate and highlight the real issues from amongst this noisy overload. This is all the more relevant today in the context of the brand of activism Asma Jahangir stood for. She was a prominent voice advocating the rights of the disadvantaged. She used her wisdom to identify the real instances of oppression and injustice occuring in her country, and countered the false narratives of the state. She fought long battles on several sensitive issues, including the Proposed Law of Evidence, honour killings, Hadood Ordinance, enforced disappearances, marginalisation, etc. She identified those issues that mattered the most to common-people and fought the actual battle on-ground. As a result, her work made meaningful differences in the lives of people. This was the difference between her brand of social-activism, and the scores of noisy pseudo-activists who only aim for free publicity on TV-news and Twitter. But while the world mourns the loss of this humanity-activist, her legacy should continue. Many countries around the world continue to face real challenges due to oppression or injustice. Activism to protect social-rights is most needed just when it seems to be in the throes of a burnout. But while we need more people like her to maintain social-rights, it is critical to ensure that the objective and effort is constructive for the benefit of the society. That is where her legacy is needed, so that activism is not for publicity’s sake but for a more constructive purpose to keep the balance in social-rights in the real issues that matter. This also holds true for the TV-news channels so that they responsibly give more bytes to the real cases than to publicity-seekers. This holds true for the social media platforms to responsibly devise algorithms that make the real issues viral more than traffic-seekers. This even holds true for the society who needs to appreciate the real issues, and separate the froth from the liquid. All these would motivate the efforts of real activists who battle on-ground to restore social-justice. 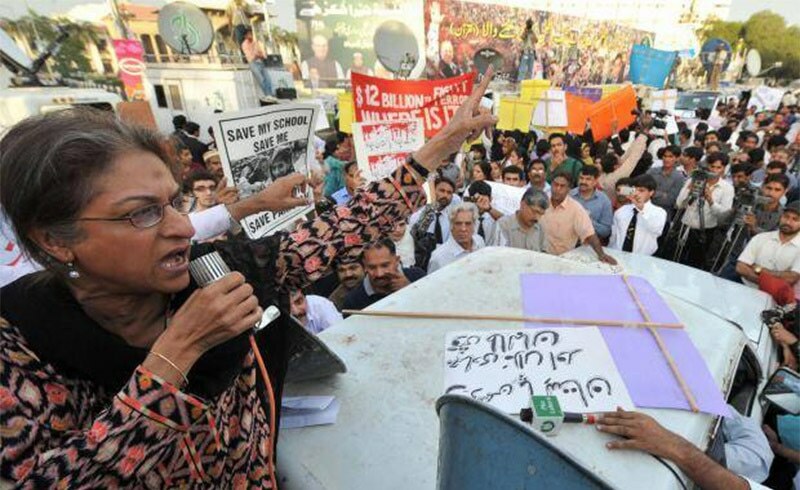 If Asma Jahangir’s legacy can continue in this way, it might just help reverse the burnout in social-activism we see today due to the noisy overload of pseudo-activism. Does Social Media Make Us Better at Social Justice or Lazier?